The Shanghai Motor Show was the setting for the presentation of Audi's new car of the future, specially designed for driving in the "megacities" of tomorrow. The Audi AI: ME is an electric SUV with a Level 4 autonomous driving system, which is also designed as a carpooling vehicle. That's how Audi imagines the future of driving. Without having to pay too much attention to the steering wheel to enjoy the journey, and without having to buy a car of your own. According to the subsidiary company of the Volkswagen Group, shared mobility services will experience their golden age within a decade, hence this Audi AI:ME, which opens the way to new business areas. As its name suggests, the Audi AI:ME combines artificial intelligence and machine learning, which make automated driving possible in the first place, and interaction intelligence, that is, cooperation with users thanks to its ability to learn and interact with the environment and passengers. Autonomous driving for beginners: What are SAE levels? 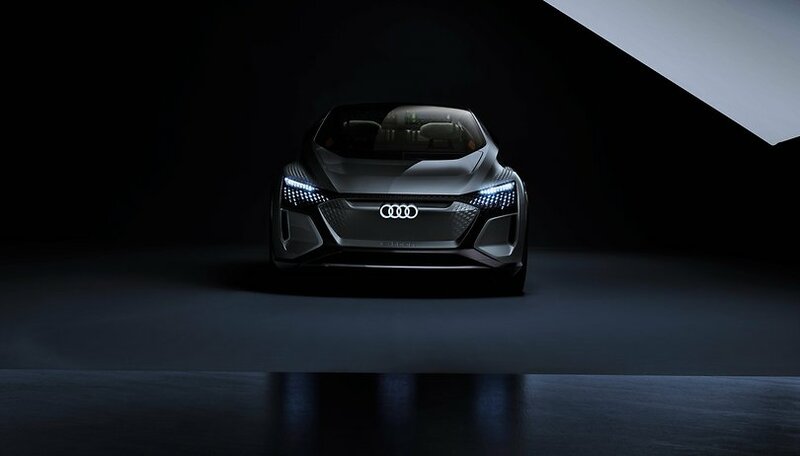 The Audi AI:ME has a 65 kWh battery and a 125 kW (170 hp) engine, which would give it great autonomy in cities for which it is specially designed, where driving limits would range from 20 to 70 km/h. Audi's future car is compact on the outside (4.30 meters long by 1.90 wide, more or less like a current Audi A3) to be able to move through large, crowded cities, but offers a spacious interior that could correspond to that of a saloon. By carrying the battery in the lower part of the bodywork has freed up a large space that can accommodate 4 passengers. This interior, which the manufacturer has also equipped with a design as futuristic as the body that contains it, will incorporate tactile controls, three-dimensional OLED screens and eye-tracking control to interact with the car with the eyes and activate elements of navigation with them, for example. You'll also have virtual reality glasses on board. Audi wants this car, which at the moment is only a prototype, to go beyond the mere fact of driving and be a place for enjoyment.